Softcover binding has light shelfwear to edges of covers. Pages tight and clean. Library discard with usual attachments and marks. Covers protected with clear laminate. Book appears un-read. 290 pages. SoftCover Binding. Year: 1993. ISBN: 0963654802. 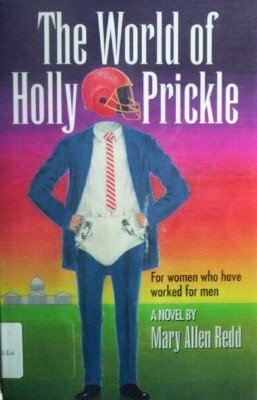 Holly works for the beltway bandits outside Washington, DC, who bid on a big government contract even when they are highly unqualified. As a single mother, Holly dates one rat, one nerd, and one compulsive spender before meeting the man who can win over her nine-year-old son. This is a tale of the lust to win (Hello, Washington Redskins), a heroic woman's triumph over sexual harassment, and the hope of love.